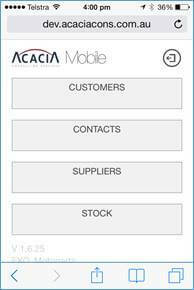 We have released a Mobile Application for MYOB EXO to allow staff on the road to be able to look up EXO customers and EXO suppliers using a phone or a tablet, including Android and Apple iPad iOS. 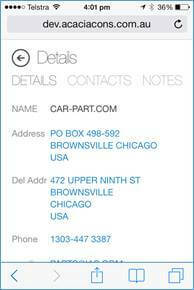 This mobile Web App uses live EXO data, so it is always up-to-date. 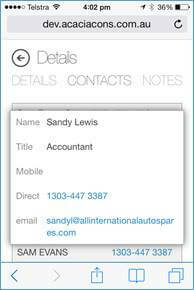 The MYOB EXO App also allows staff to tap on phone number’s or email address’ to contact a customer or supplier directly to make use of their day on the road more time efficient.